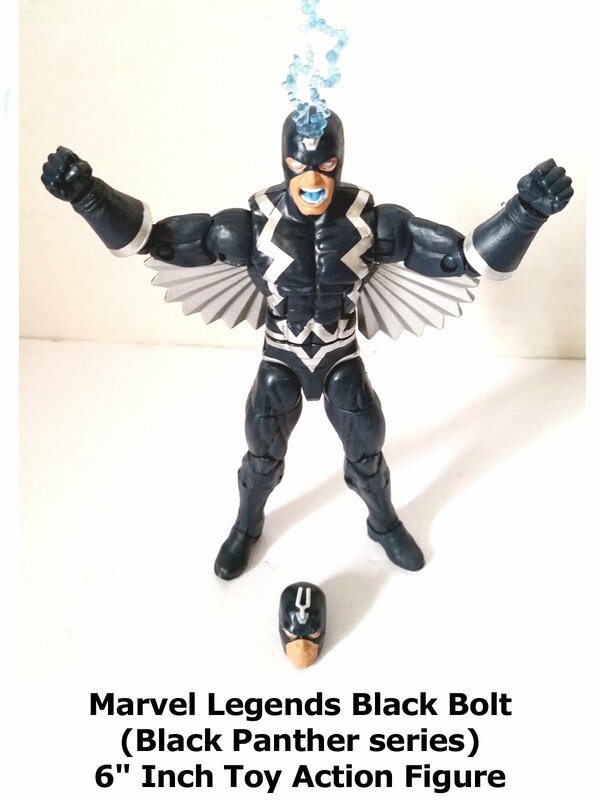 This is a Marvel Legends Black Bolt 6" inch action figure toy review. (Part of the Black Panther Okoye build a figure BAF series) This is the comic book version of Black Bolt in his classic look. Well sculpted and detailed. He is the leader of the Inhumans. A fine addition to any toy collection.